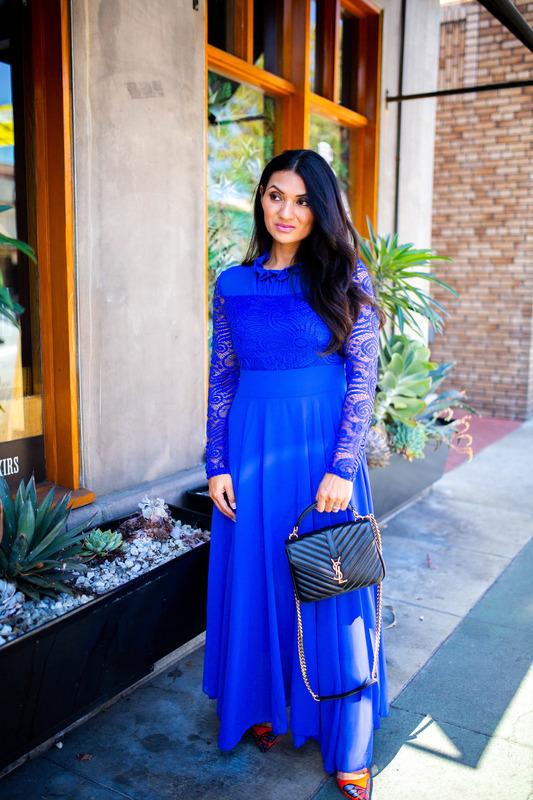 Have you ever wondered how to incorporate cobalt blue into your wardrobe? Keep reading to see why I am loving this bright color. 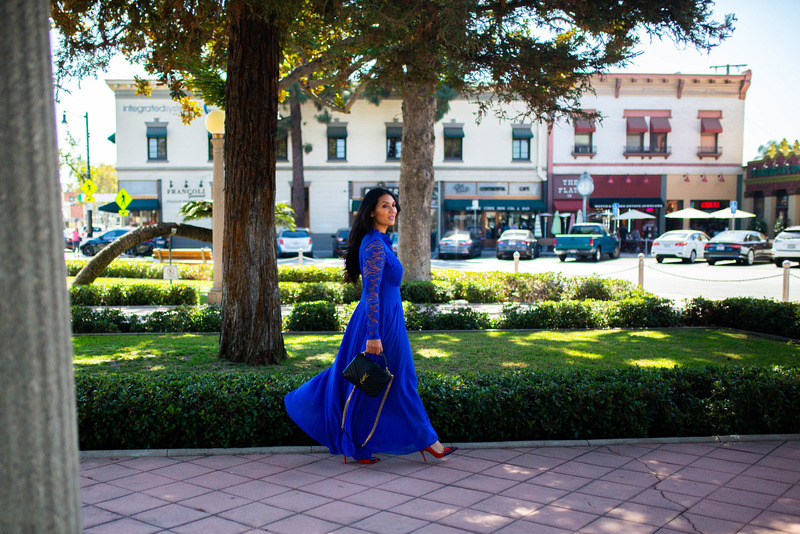 This strong bold color of blue is called cobalt — and I love it! This color is intense and a vibrant…a lot like me! 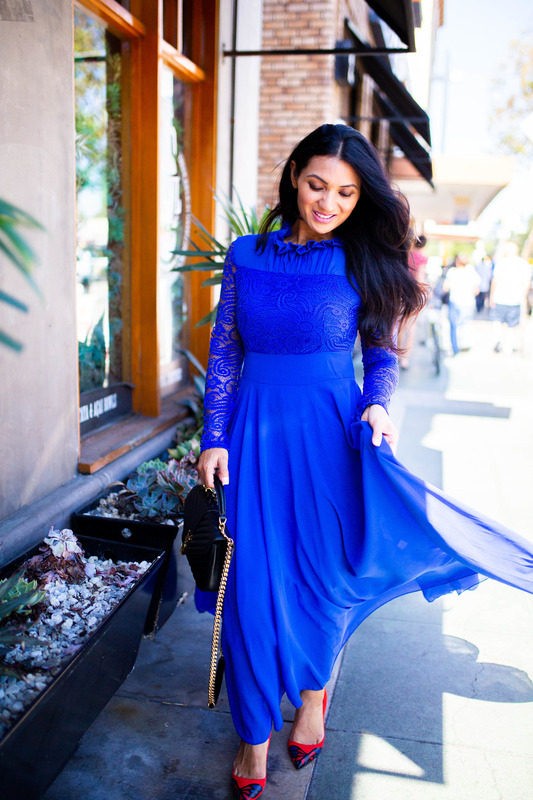 The long lace sleeves of this dress are artful. And, the long flowy skirt makes you feel you are dancing with each step. 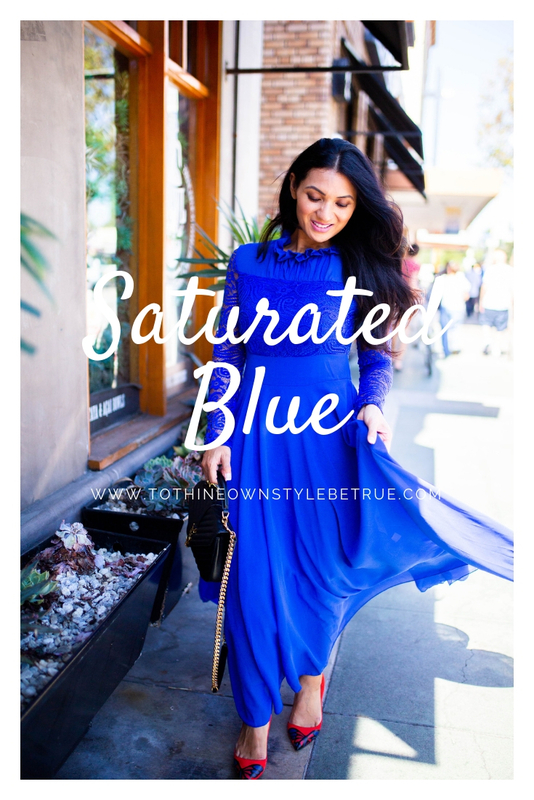 What do you think of this colorfully saturated cobalt blue dress? I actually didn’t feel like a blueberry wearing it and it looks quite nice paired with my brightly colored red/orange heels! This post is short and sweet because it is Friday and I am ready for the weekend! How about you guys? My son Elijah has his belt test for TKD today and he is so excited. Albert returns home from a business training program tonight and I can’t wait to see him. I pick up the girls today from school and get to enjoy their fun and crazy personalities all weekend long, uninterrupted. It has been a very long and draining week for me getting caught up with work and basically life from being sick for the last two weeks. I am glad we all made it to Friday! Enjoy! I hope your son did well with his belt test! This color looks great on you, I feel like it really complements your dark hair! That’s such an astonishingly vibrant color! It looks amazing on you! 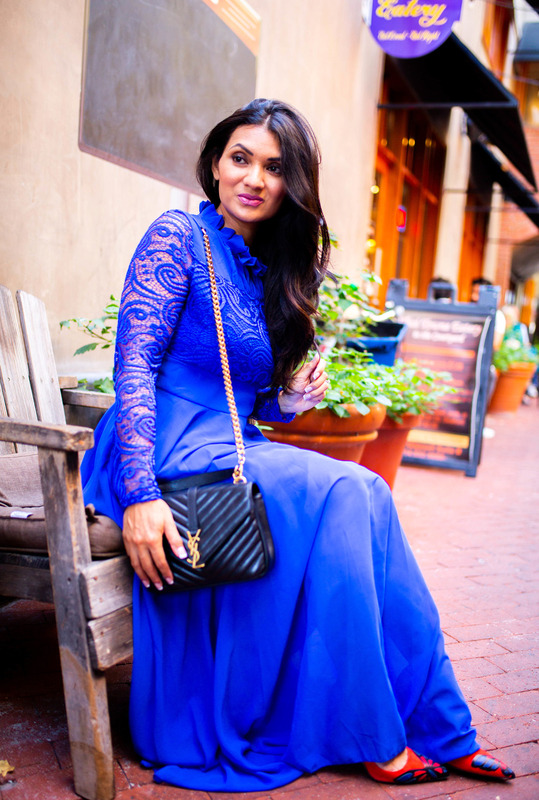 I wore a cobalt Herve Leger evening gown to a formal function last year and it was definitely a show stopper! It’s rare that such a bright color can come off as elegant, but this does! Combat blue is such a regal color and I really enjoy wearing it. It”s one of those colors that looks good with all skin tones. Your dress is gorgeous! Cobalt blue is such a stunning color, especially on you. Love the flow of this dress and the detail. I can’t get over how stunning that color is. It is just so vibrant. You look amazing in that dress. 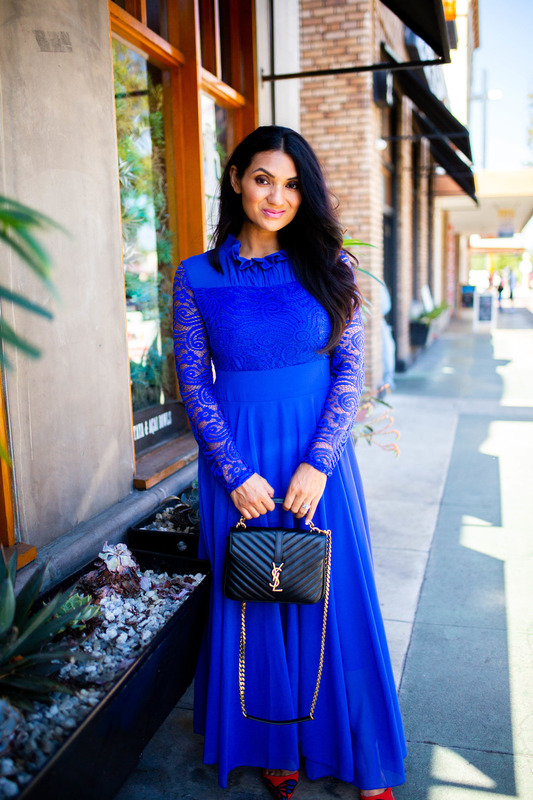 You look fantastic in that cobalt blue gown and your shoes are fab too. Bright colors can really pick us up in so many ways. you look fabulous in the dress! 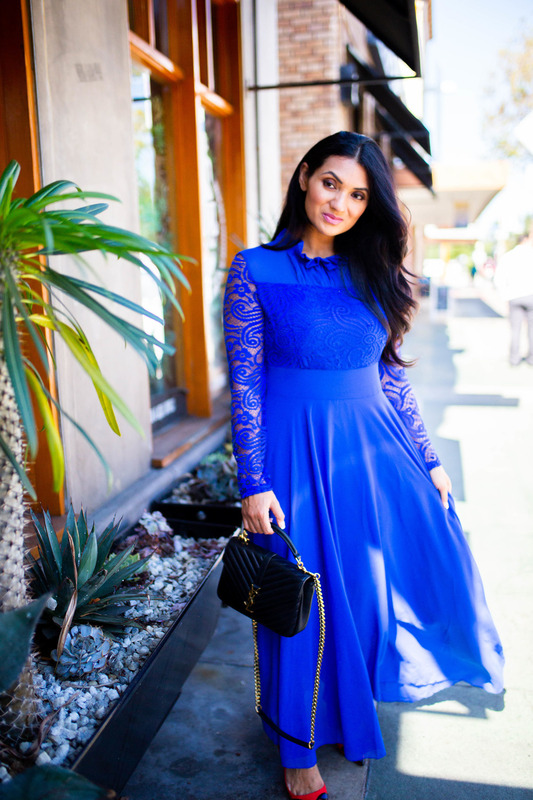 the color is super pop and love that shade of blue! I love how beautiful this colour is! I’ve been seeing it a lot lately. It really suits you! The cobalt blue is very intense there. I can see why some people would want to stay away from the color. But it is very striking. And you wear it so very well. You look so beautiful in these photos! I just love that color on your complexion!